In the 50’s a New York postal clerk named Herbert Vogel (1922-2012) hung out with Abstract Expressionists in the Cedar Street Tavern. He tried painting himself, but felt he wasn’t any good. He gave up painting and became a collector. 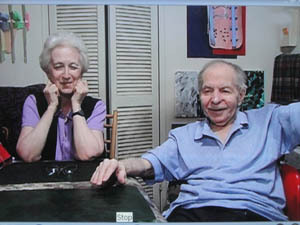 After he married Dorothy, a librarian, they lived on her salary—in a one bedroom apartment–and spent his on contemporary art, primarily emerging conceptual and minimalist artists. 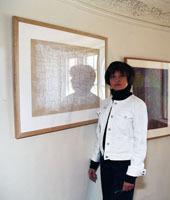 They got to know the young artists and closely studied their working methods and thought processes. In 1992 they donated their collection of 4782 pieces, by then worth millions, to the National Gallery and galleries in all fifty states. 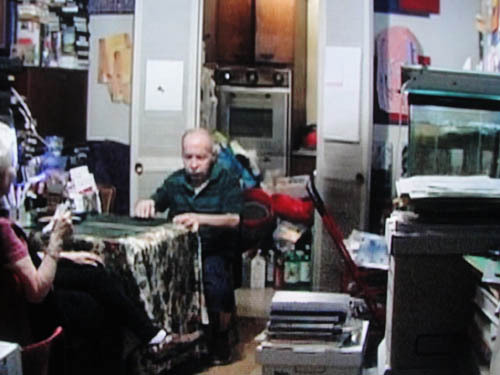 In 2008 Megumi Sasaki documented their obsession in “Herb and Dorothy”. Did someone say “obsession”? Maybe it wasn’t an obsession or an addiction. Maybe it was love. Meditation? Wisdom? Greed? Quest for fame? Watch the movie, highly recommended.